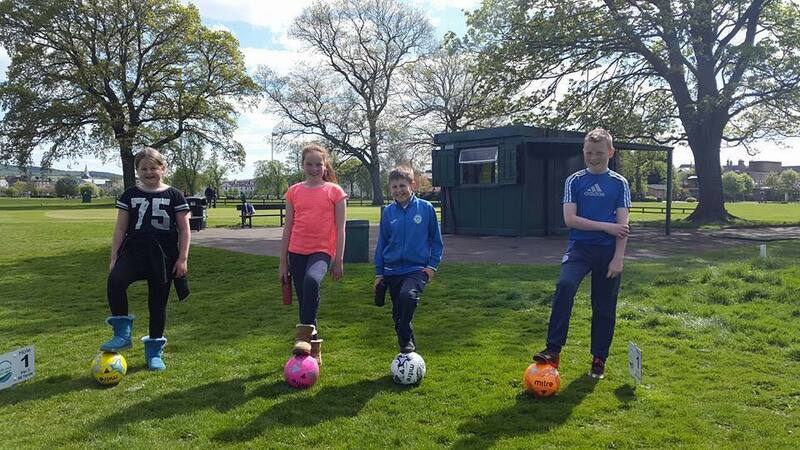 North Inch Footgolf takes place at the popular North Inch Golf Course, conveniently located on the edge of Perth, and is in fact Perthshire’s first Footgolf course. There is a 9 hole course with a variety of Par 3, 4 and 5. This is a wonderfully picturesque course, mature, and well-manicured on the banks of the River Tay. The river itself is both beautiful and an obstacle! There are statuesque trees and areas of rough providing additional obstacles. Do check out North Inch’s Facebook page to confirm opening times before coming as sometimes golf bookings cause a change in the available times. Please note that the last 9 Footgolf hole round will kick off 45 minutes before closing. The last 18 Footgolf hole round 90 minutes before closing.